Enter gconf-editor in command line to open GConf editor. 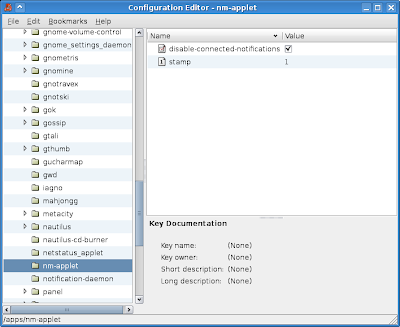 Navigate to /apps/nm-appletr in the editor. Add a new key of Boolean type with the name disable-connected-notifications and the value True. From next time, you won't see those annoying balloons when NetworkManager connects to a new network.